it was a cold and rainy day and having just ticked one off the london bucket list by ice skating at somerset house, my ravenous friends and i decided that a large bowl of piping hot noodles sounded really, really good. so off to lan zhou la mian we trooped! lan zhou la mian is not a shop i would venture into if it wasn’t recommended to me by friends – their shop window is filled with trays of (if i may say) dubious-looking extremely brightly-coloured ready-to-eat hot food (think mr wu’s chinese restaurant eat-all-you-can-buffet-style food that always makes me upset because i hate that it would make some people who don’t know any better think that that is all chinese food is about – fried spring rolls, lemon chicken and “singapore noodles” (the most offensive thing ever!!!)) 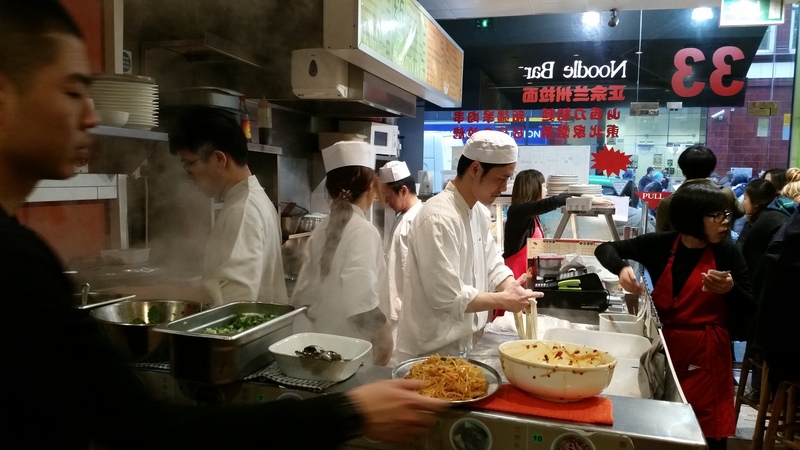 and given how it is so well-located just a stone’s throw away from leicester square tube station, it appeared to me to be the type of shop that serves sub-standard chinese fare at cheap prices. we couldn’t have been more wrong though, and hurrah for that! the aforementioned friends who recommended this place highly recommended the beef noodles, so the stewed beef la mian soup is what every single one of the 4 of us opted for. the noodles took quite a while to arrive (one would expect faster service using all the other casual chinatown eating spots as benchmarks) and the waiting time was exacerbated by the fact that it was 2.30pm and we (or maybe just me) had just done the most exercise we’d done all year by skating for an hour. 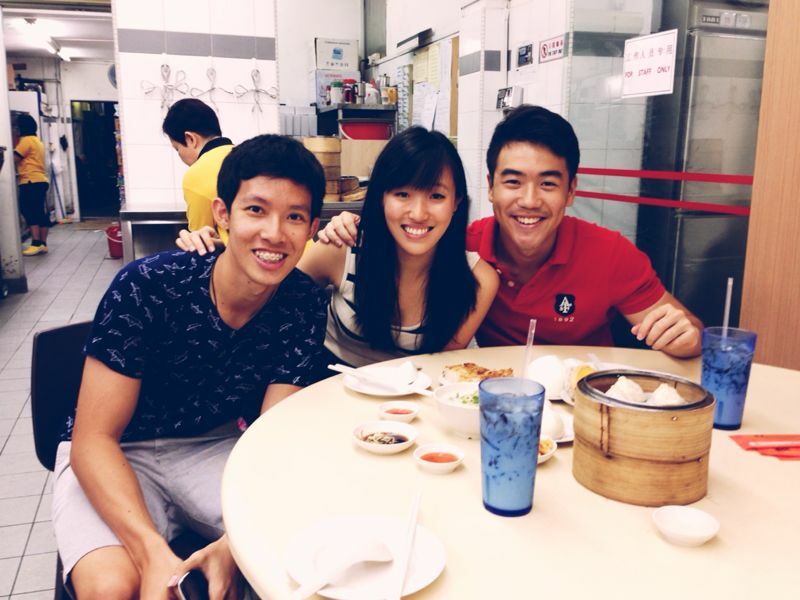 we couldn’t have been happier with our huge bowls of noodles (#asiankidsforever). the broth was thick, tasty and flavourful, and the beef brisket was tender, well-seasoned and added in generous amounts. note the addictive chilli oil in the picture that was added in copious amounts for that extra spicy punch, making this bowl of soupy goodness even more satisfying than it already was on its own. as for the noodles, i was sold after taking my first bite. you could tell they were definitely freshly-made (the waiting time was warranted after all) – bouncy, springy and cooked for just the right amount of time to give it the perfect bite. i could not stop enthusing about the texture of the noodles as i made my way slowly but steadily through the huge bowl. soon it was all gone and i ain’t gonna lie, i was a little sad (as i tend to be when i have nothing left on my plate that previously contained a mountain of all things delicious). at just £6.50, this bowl of goodness was like a warm, comforting hug on a cold winter’s day, and i will certainly jump at any chance to return. mega plus points for the fact that it opens till the wee hours of the morning (5am on saturdays?! 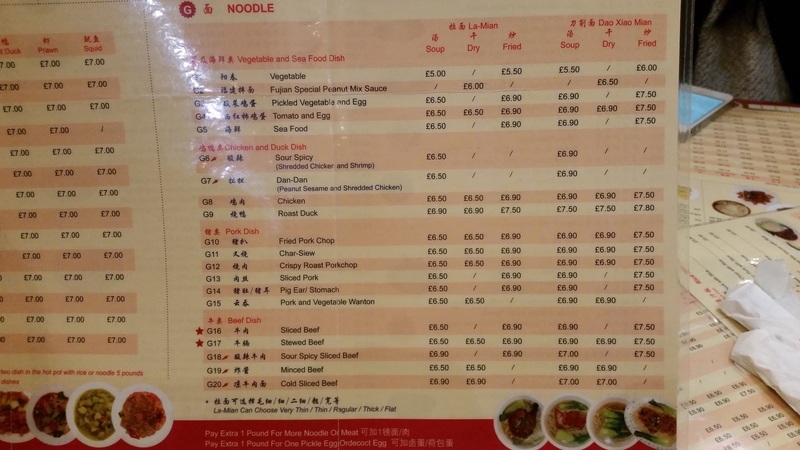 truly a #rarespecimen in london), so this is certainly a place to visit when you’re in need of a late-night supper or desperately need to satisfy a sudden intense craving for oodles of noodles before bedtime. love me some la mian!!! refusing to settle for prata house along the main upper thomson stretch itself (i used to go there as a jc student; the prata is oily, and so are their floors), we decided to give casuarina curry a go since i hadn’t been in quite a while, and was interested to see how it oompared to my more recent prata adventures. googling the address however, the reviews didn’t seem as stellar as they used to be; it was suggested that a prata place in springleaf now served prata that was much better, and so that’s where we decided to head to! the paper thosai also looked very good! we weren’t wowed by this at all; it wasn’t anything to shout about though it was definitely very authentic. quite a big piece of fish was given (though you can’t really see its size in the picture), as well as a very generous serving of briyani rice accompanied by pappadam and achar. the briyani sets seemed to be quite a popular option with the lunch crowd though, so maybe the chicken/mutton briyani is more exceptional! 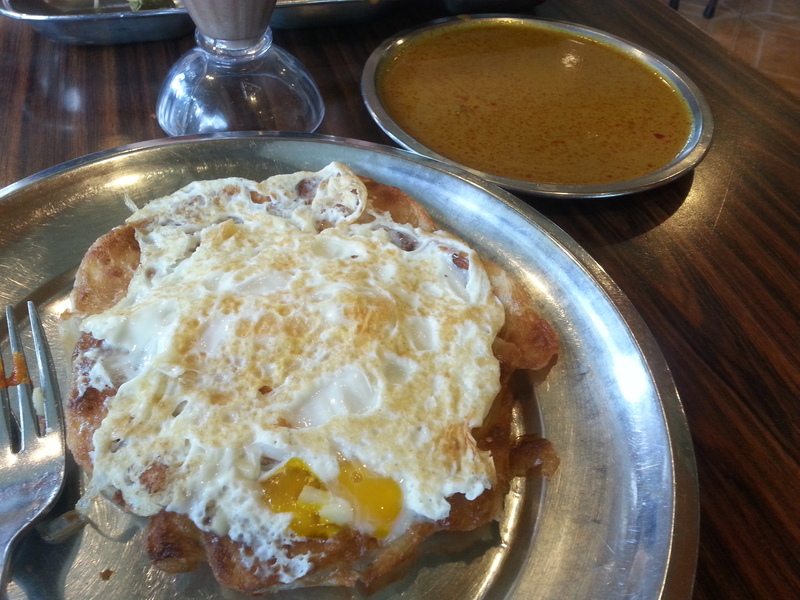 the only thing better than a cheese prata is an egg (with a wet egg yolk, no less) plastered across its top. 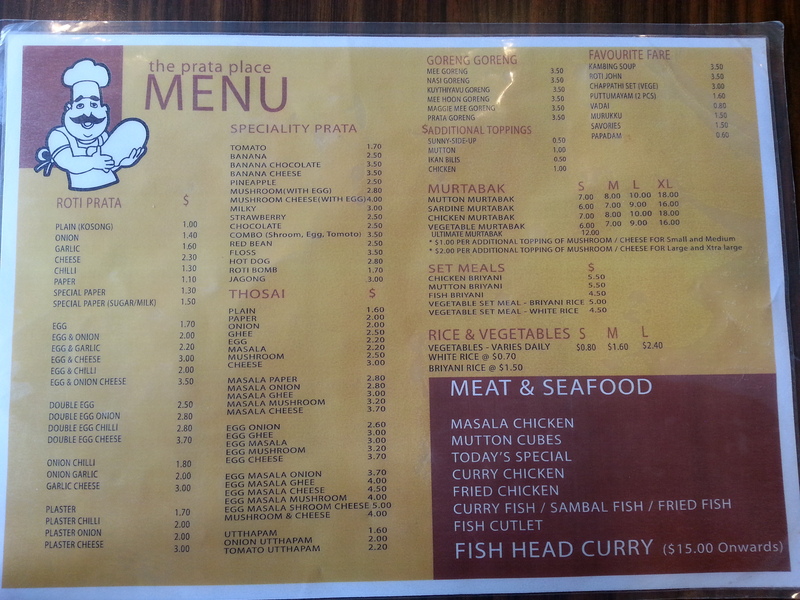 this was amazing – i was in prata heaven. the prata was crispy on the outside but soft and fluffy inside. i absolutely loved the addition of the egg on top of the prata rather than within in like in regular egg pratas (my first time having a plaster prata!!! ), and loved how the cheese they used here wasn’t a slice of sandwich cheese inside the prata, but was instead mozzarella bits sandwiched between the prata and the egg. i was really extremely satisfied and decided that plaster prata was probably one of my new favourite things to have (going through a plaster prata phase now – had one the very next day at tekka market, but was sorely disappointed because it paled in comparison to prata place’s). 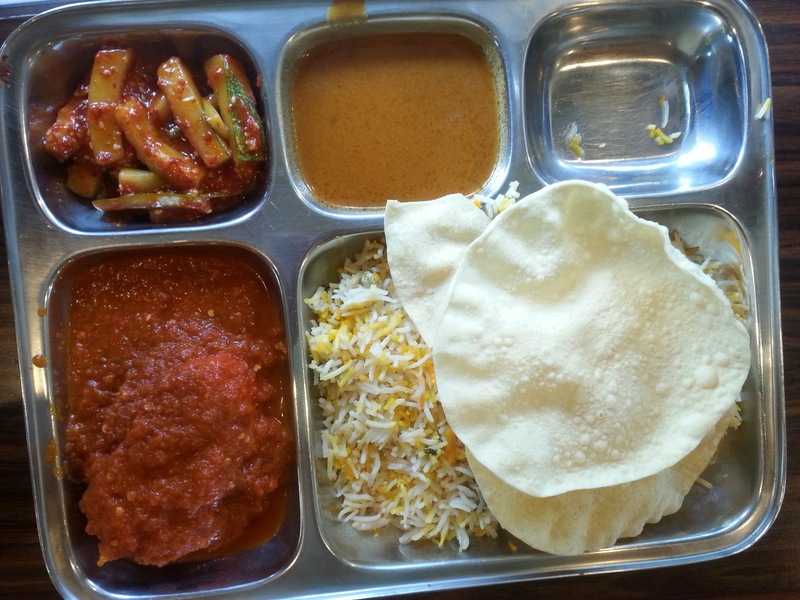 the curry was also good – not too sweet not too spicy, and was not the diluted/tasteless type. brgr is yet another place that has added itself to the already long list of choices we have for burgers here in london. being the first outlet outside of lebanon where it originated, i was initially apprehensive of how it’d fare but it came highly recommended from friends so this is where i ended up on a thursday night when i was craving some manfood! hahaha. you’ll find it at the end of wardour street that’s closer to oxford street, and this location was extremely welcome since it shortened the trek from school after a torturous jurisprudence lecture (am sure it’ll be as welcome if you’re heading over with aching legs after intense christmas shopping too)! the interior of the shop was not quite what i was expecting – in contrast to other burger joints like patty and bun (possibly still my favourite burger in london; see review here), the decor in brgr is not what you’d expect from a typical burger joint – it seemed to be going for a more smart & sophisticated vibe with its dark colour scheme, and staff were dressed in crisp white shirts. they pride themselves on the beef they use (premium beef sourced only from the duke of buccleuch’s estate in scotland), and the signature burgers are supposed to contain only the best cuts, more so than the standard patties in their regular burgers. my friend and i both decided to go for the 6oz “butcher’s cut” plain, without any distractions from the fancy cheeses or sauces, and could not resist getting a serving of the parmesan truffle fries to share (it was calling out to us once we spotted it on the menu). i don’t think the picture does how good it looked justice at all – it looked absolutely tasty and juicy and perfectly-cooked and made me want to dig right in. but alas, i had to snap a few shorts of it to share so i had to resist that urge for a bit. my friend on the other hand, promptly attacked hahaha. the beef patty certainly did not disappoint – the quality of the beef lived up to what it was made out to be. it was tender, juicy, sweet, wonderfully seasoned, and perfectly chargrilled to a pink medium rare. tasted like a gourmet beef patty, and even had that melt-in-your-mouth goodness at some points. the veggies in the burger were simple but very fresh, and the brioche burger bun was yummy – super soft and light and fluffy in all its glazed goodness. my jaw literally dropped when it arrived at our table – it looked amazing and i had never had a dessert burger before so this was all very novel and exciting!!! luckily it tasted as amazing as it looked or i would have been sorely disappointed. the brioche was lovely and light and fluffy, and though i was worried that it would just be a giant cream puff-like thing, i was pleasantly surprised that it was not the case at all! all the different components of the “burger” came together wonderfully – the chantilly cream was unbelievably fresh and light, the pistachio bits added crunch, the lemon custard was firm (a little like the texture of ice cream, just not as cold!) so that it didn’t get lost along with the cream, and added a nice and refreshing (slightly tart) lift to the dessert. at some point we realised that maybe we should really be eating it as a burger so this is what we did: it was like a massive jam donut, only much much better. all in all, we enjoyed our experience at brgr and concluded that its a great place if you’re looking for a light and clean-tasting burger. 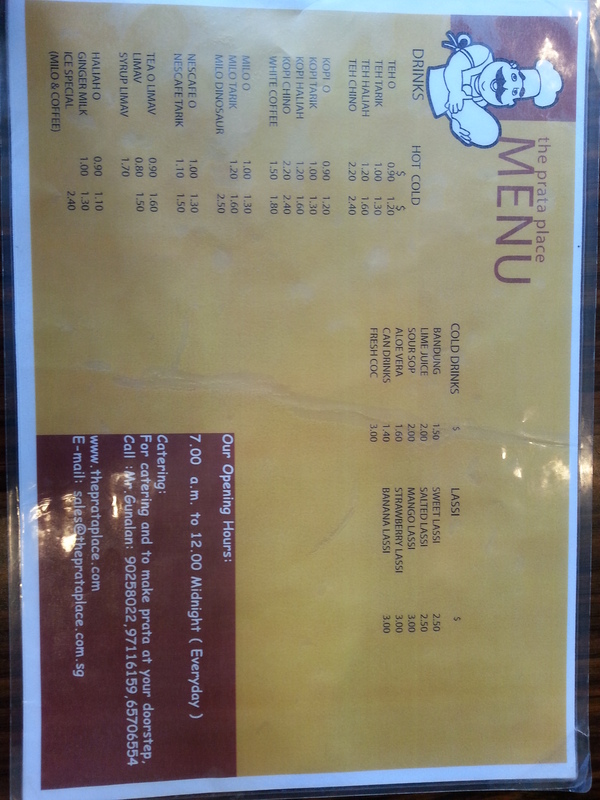 if you’re looking for something greasy or heart-attack inducing however, then this is probably not the place for you. the drunken chicken was quite decent though i would have preferred it to be a little more chilled. the meat was tender, moist, and well-flavoured while the sauce was light and tasty. we all quite enjoyed it! 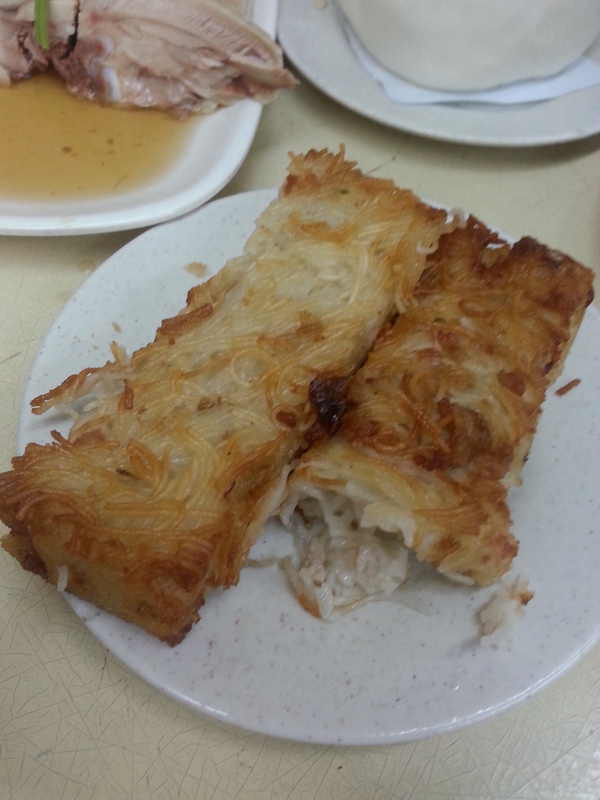 the mee sua kueh is one of swee choon’s specialities. i’ve don’t think i’ve ever had anything like it! 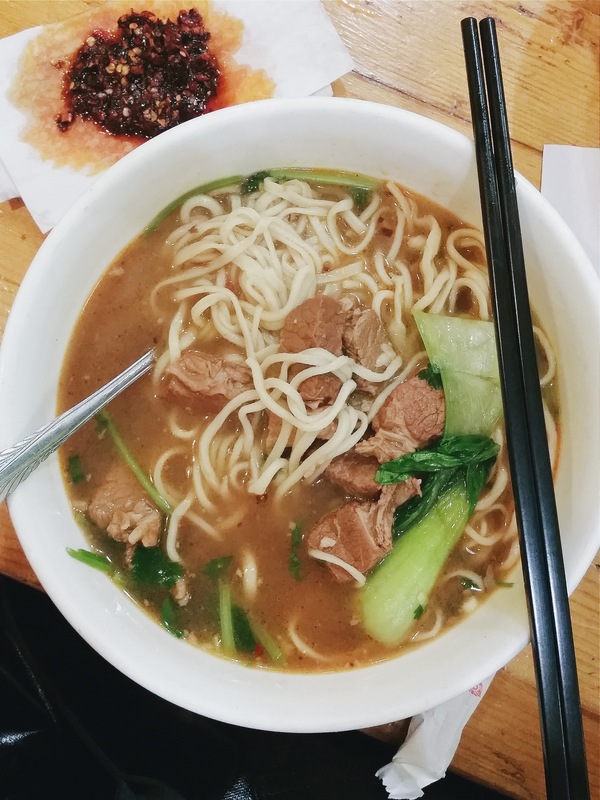 we all agreed that it was quite an interesting item on the menu – mee sua is fried together into these block-like pieces which have crispy brown outsides. i think its worth ordering just to give it a try, but it fills you up rather quickly and can get a bit boring to eat after a while since there’s nothing else (ie no meat, veggie etc) added to it. 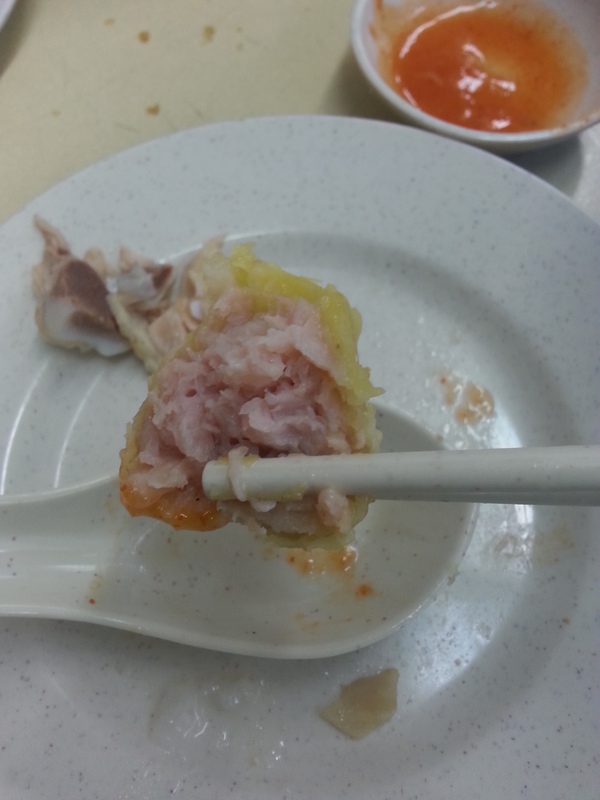 its pretty much eating plain fried mee sua in “kueh” form. will probably give this a miss the next time i’m there! i enjoyed the har gaos although i would have preferred the skin to be a tad thinner. 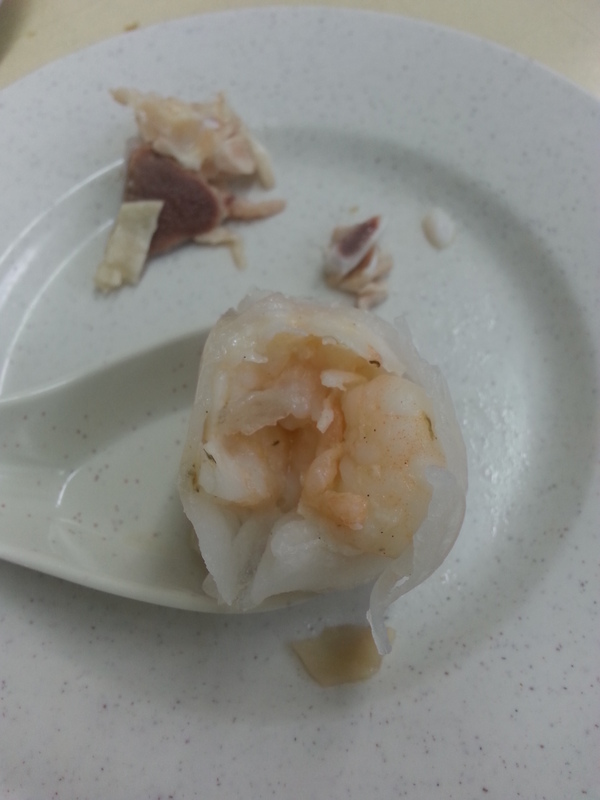 as for the filling, it was really yummy and they were generous with the prawns that were fresh and crunchy! the porridge was very average, neither great nor bad. 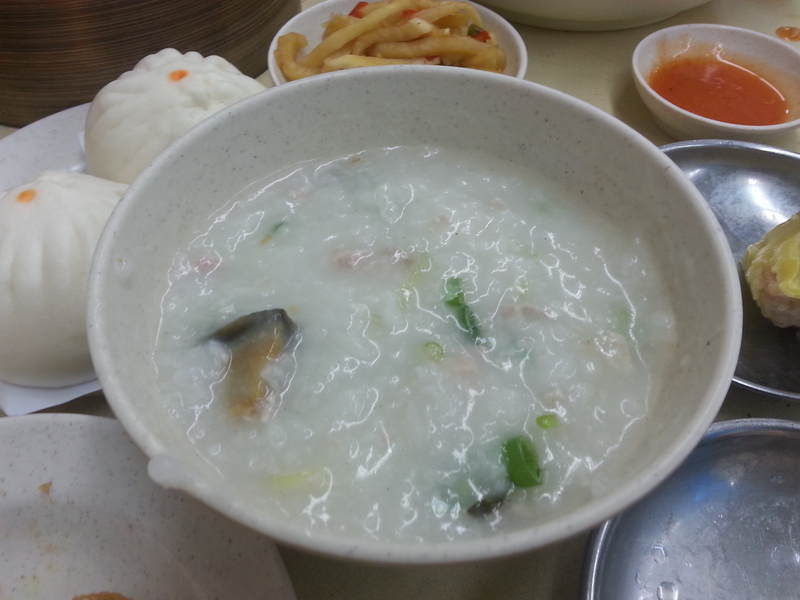 always a nice accompaniment to dim sum though, and they do a decent enough rendition of it, so its worth ordering if you want some porridge to go along with your dim sum. 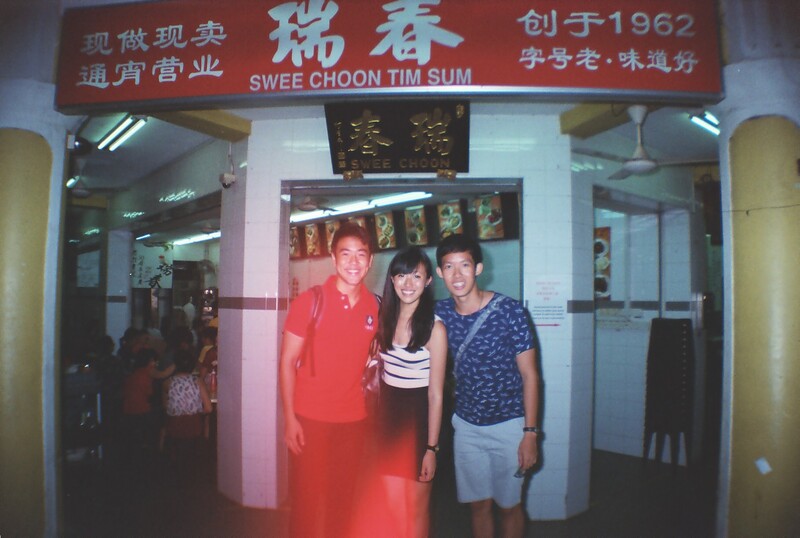 another swee choon specialty! sounds like quite a strange combination and looks that way too, but it was pretty good! 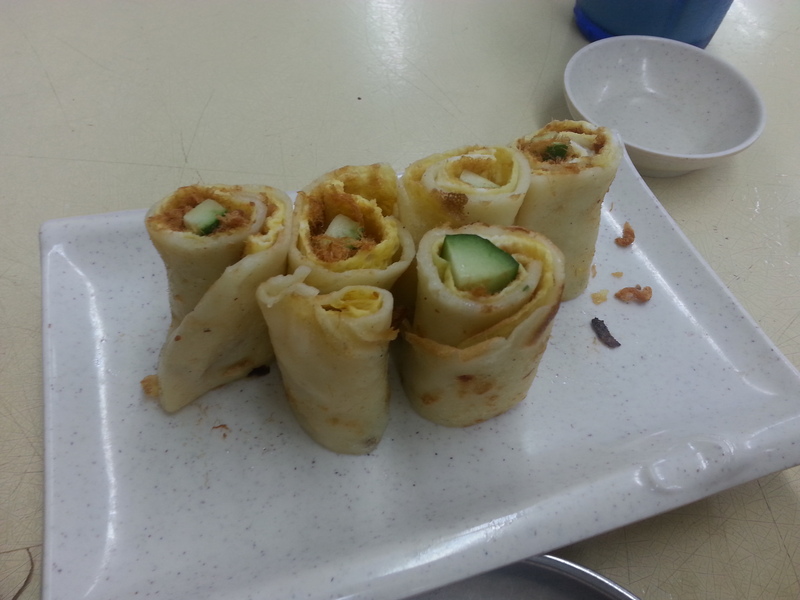 tasted like an asian savoury crepe, and the cucumber stick in the centre added bite and crunch to the otherwise soft mix of things. it was a good combination of tastes and textures! i didn’t have very high hopes for the xiao long baos but they were actually pretty good and one of the better ones I’ve had in Singapore i feel! 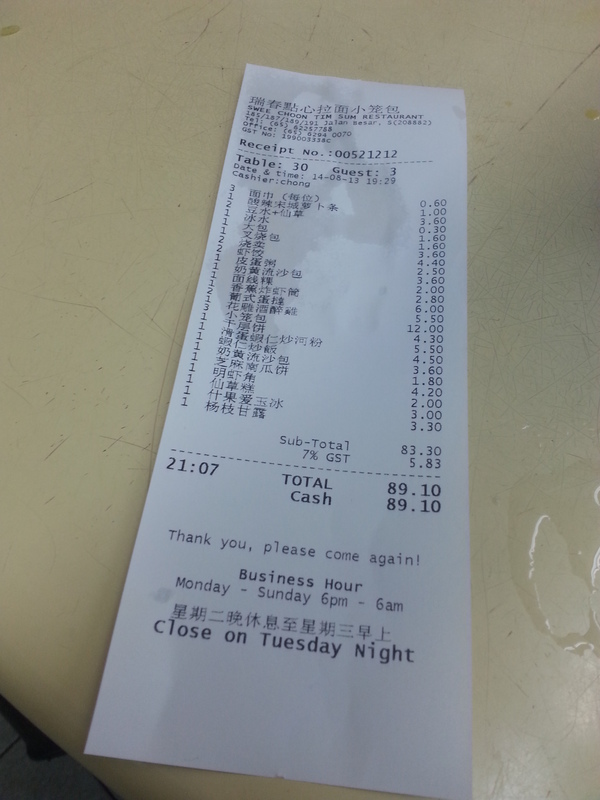 we ended up ordering 3 longs in total (omg now that I think about it that 1 long each hahahahaha. 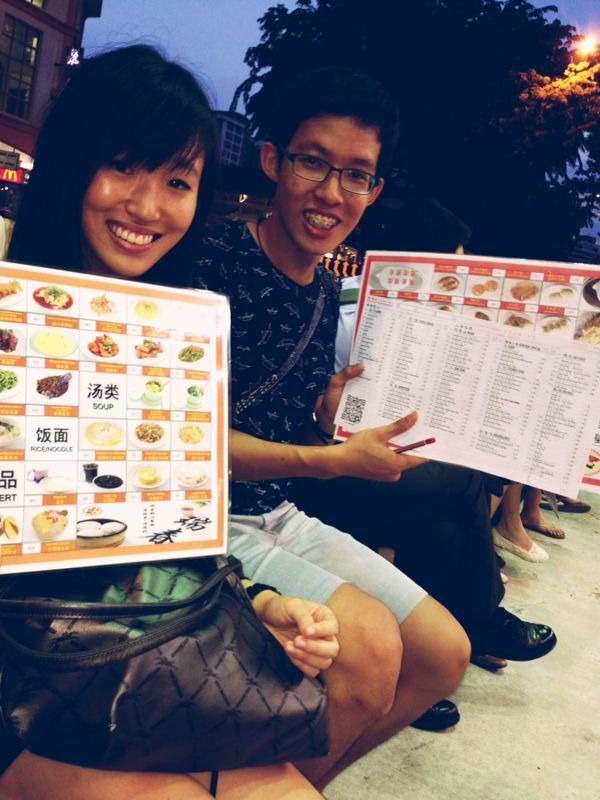 extreme eating with these 2 once again.). they were really well done – the skin wasn’t too thick and the soup and meat within were very yummy, especially when eaten fresh and piping hot! 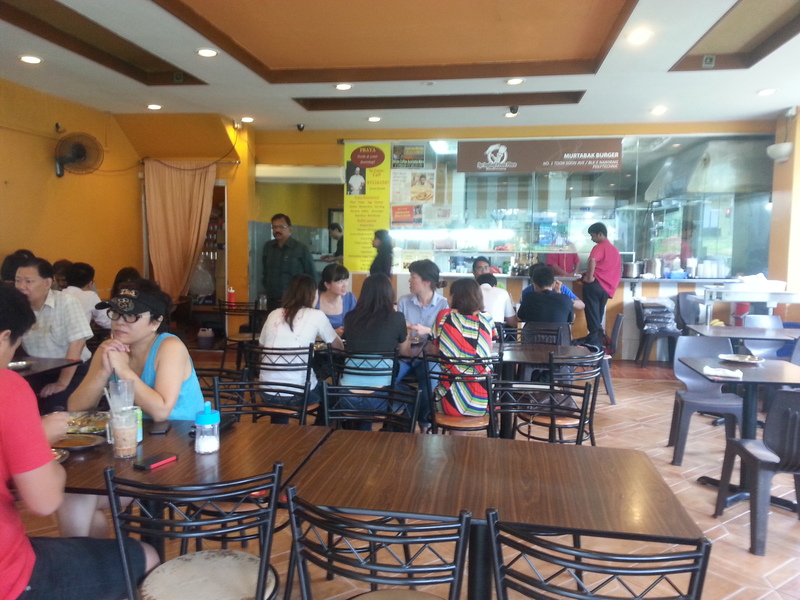 the egg tarts were not bad, but nothing to shout about. they were portugese-style tarts as you can see from the pictures and the crust was flaky and crispy while the filling was quite wobbly and smooth, and not too sweet. 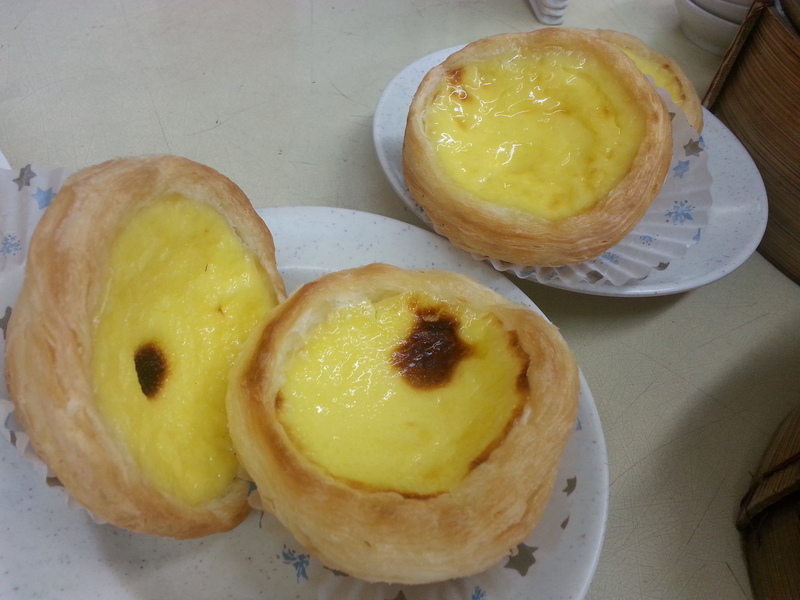 didn’t get as excited as i usually do about egg tarts though… not sure why. i’ve been trying to think of what it was missing but i can’t seem to pinpoint it. maybe the filling was a little too wobbly and soft for my liking? 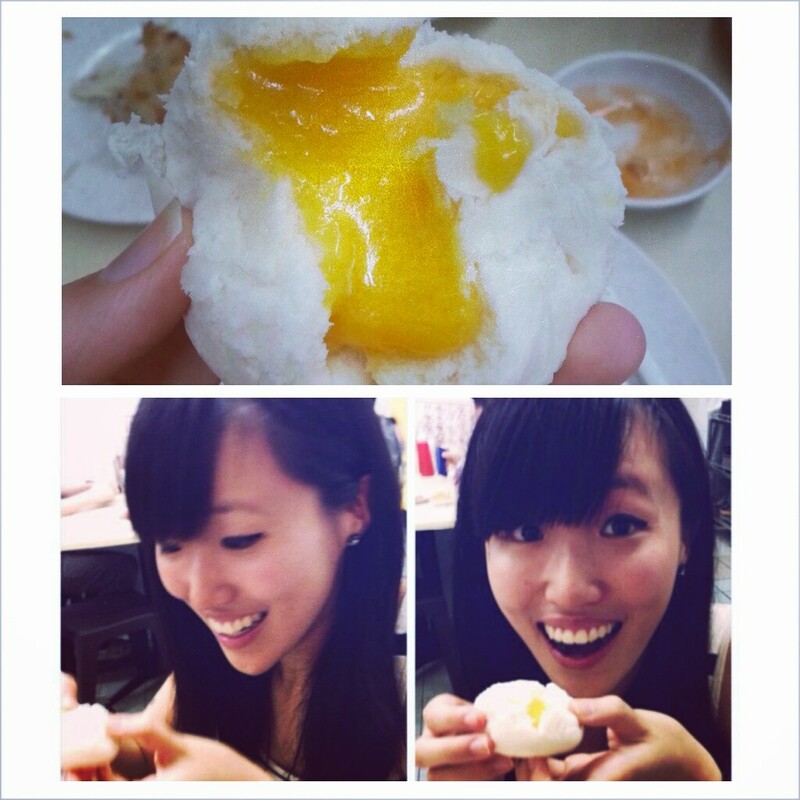 the texture was almost like that of steamed egg; i guess i prefer fillings that are a little firmer! i used to think that prawn and banana fried together in a fritter was an extremely strange combination, but i’ve come to really enjoy it! 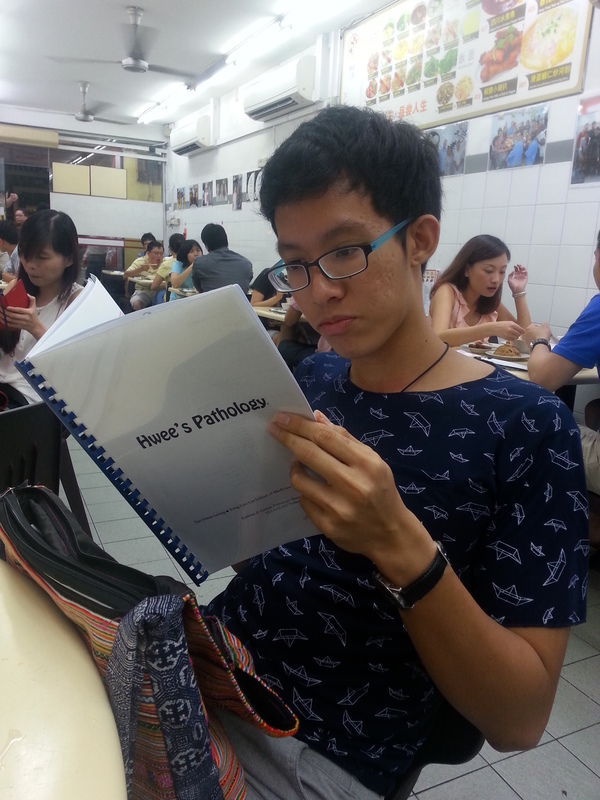 swee choon’s rendition of it was good. the banana was nice and sweet, the prawns were juicy, and the batter wasn’t too thick. the oil it was fried in was fresh (hate when oil is re-used to fry things; i always taste it in the deepfried sticks of things at old chang kee), and the 3 components all complemented each other well. 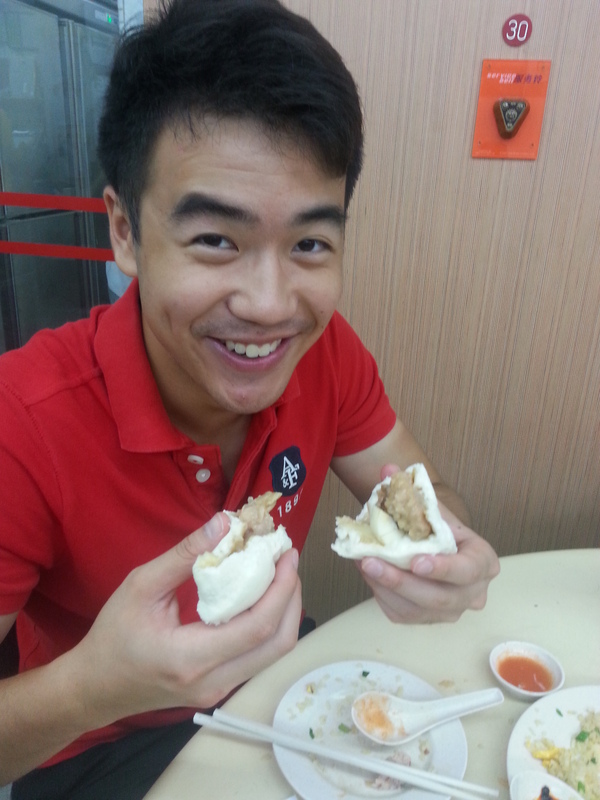 the cha siu bao was good! 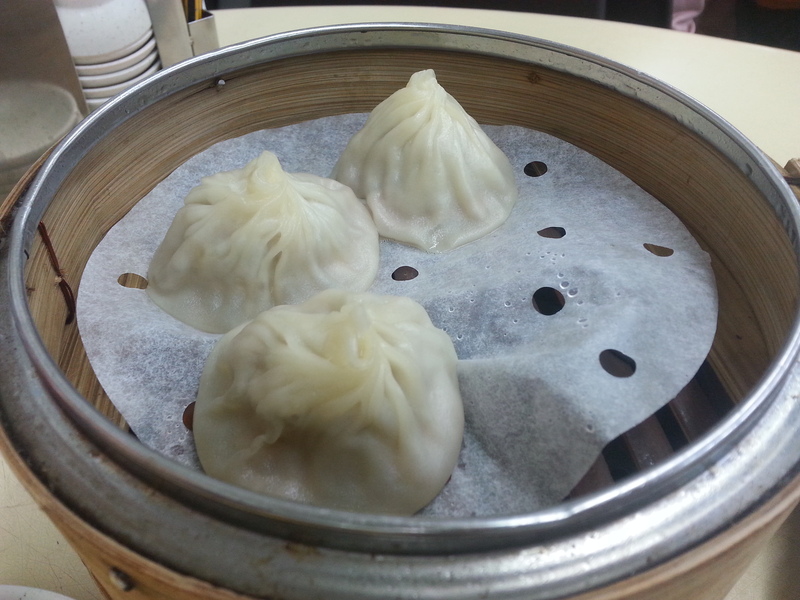 the skin was fluffy and nice and they were generous with the filling that was juicy and not too sweet! yumz. 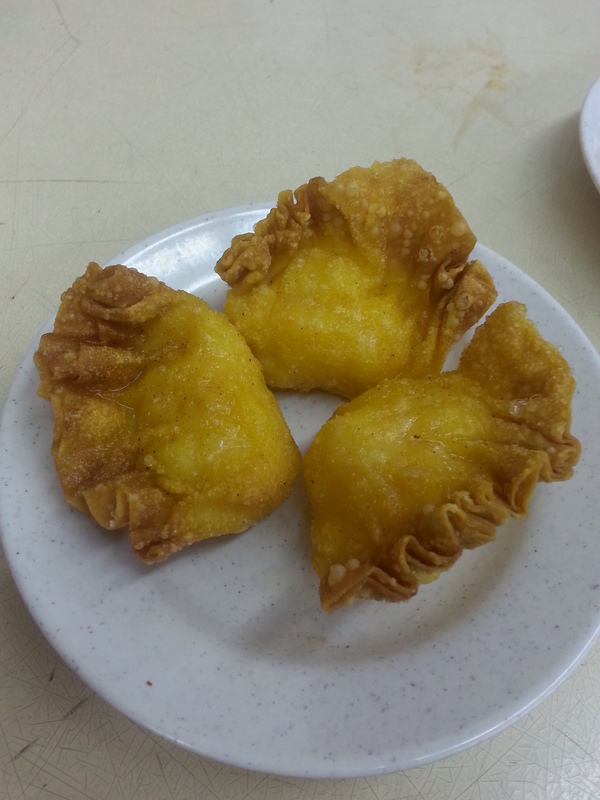 they were generous with the siew mai filling which was sweet and juicy, and the skin wasn’t too thick! i remember thinking that it was a little heavy/dense and could have been more daintily done though, but then again this isn’t fine dim sum dining so i guess expectations should be managed in that aspect! 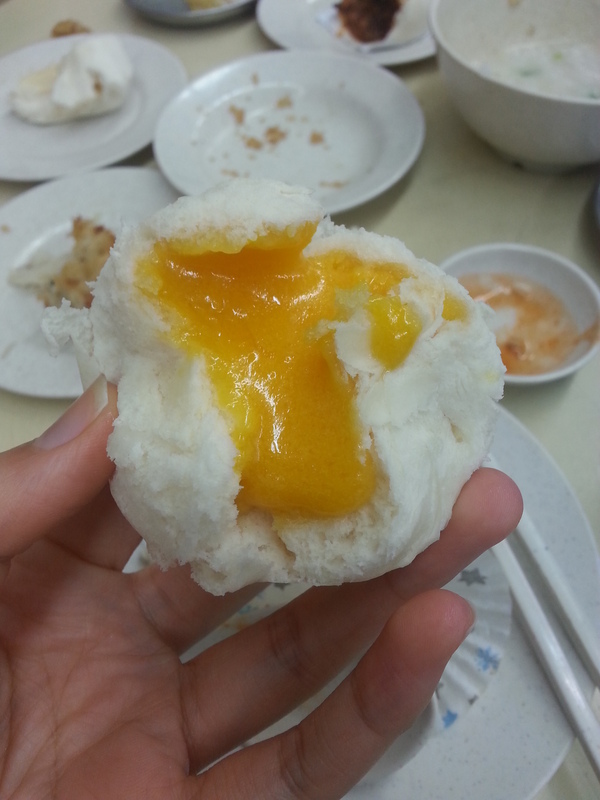 the big pao was stuffed with minced pork, chicken, egg and mushroom. the ingredients made the filling nice and juicy and it was great when eaten hot, but i felt that the skin could have been a little thinner (even though it was quite fluffy). 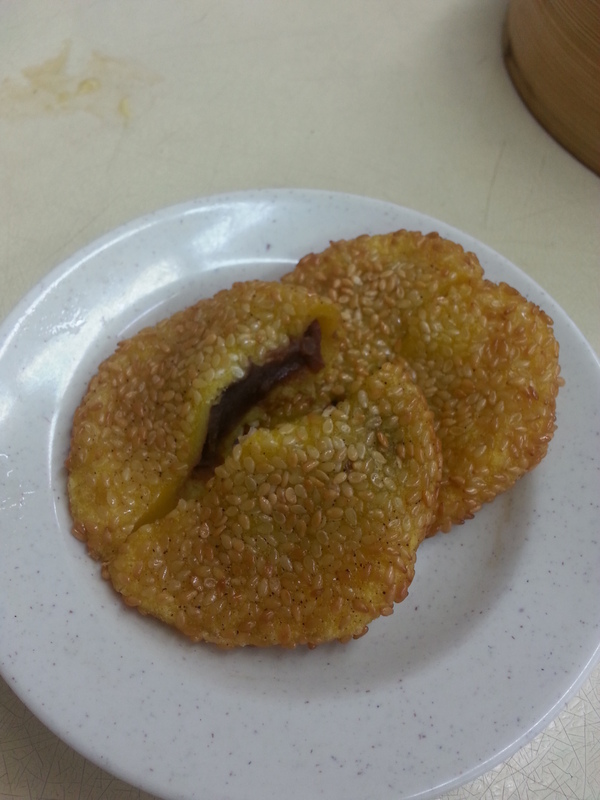 i quite enjoyed this – it was basically sesame-coated pumpkin encasing red bean paste! everything went together quite nicely and i love how the sesame seeds coating the pumpkin added bite to the otherwise soft and mochi/tang yuan-like texture of the pancake. could have been a little less greasy though! didn’t try this because by this point, i was completely dimsum-ed out and about to pass out from a food coma but my friends raved about it. 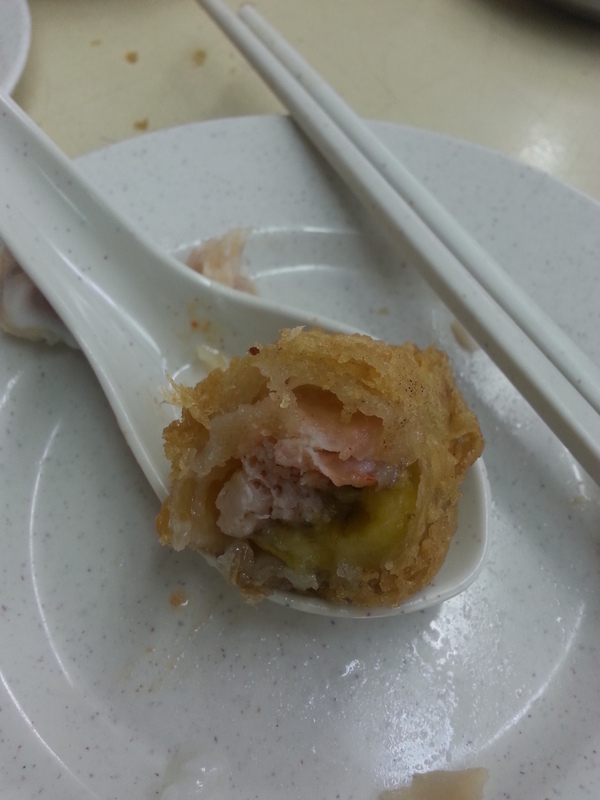 supposedly really really good wan tons with amazing juicy prawn fillings. i would probably have had one if they weren’t fried, but i just couldn’t stomach anything so greasy anymore! 15. we also had their fried rice with shrimps and fried hor fun with shrimps (which i don’t have individual pics of), both of which we were disappointed by. they were nothing exceptional and hence not worth filling yourself up with at all! 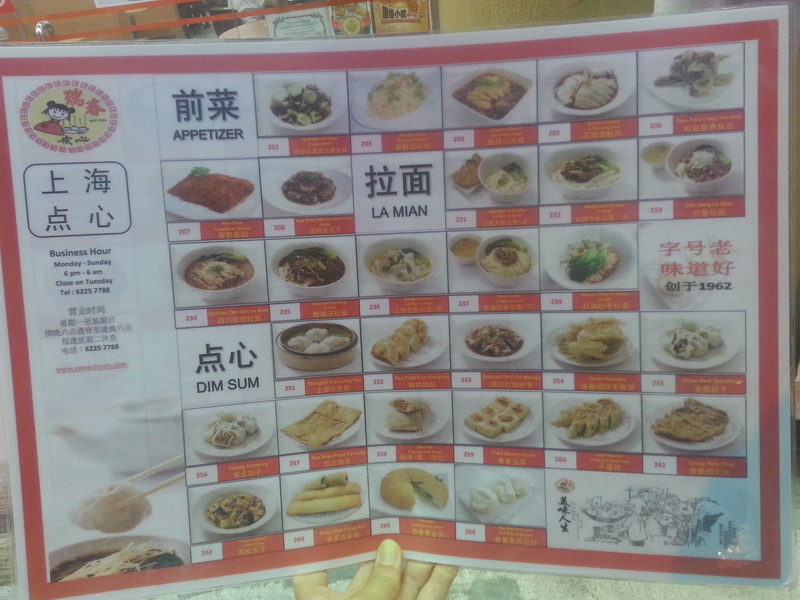 am definitely going to stick to the dim sum items on the menu the next time i visit. their desserts were decent! 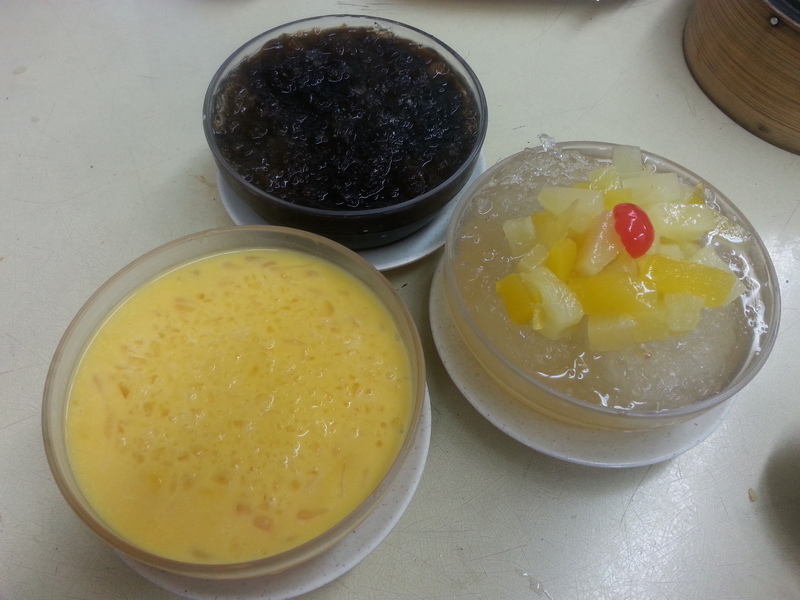 we had 3 desserts to share (even though we were close to rolling around on the floor in our stuffed states by this time) – grass jelly, ice jelly, and mango with pomelo and sago. the jellies were smooth and not overly sweet, while the mango with pomelo and sago was not bad but could have been thicker and less diluted. i was not expecting much at all since the focus of this place is on their dim sum and desserts would probably be more of an afterthought on the menu but was pleasantly surprised. a good way to wash down all that food and end the meal on a sweet note! 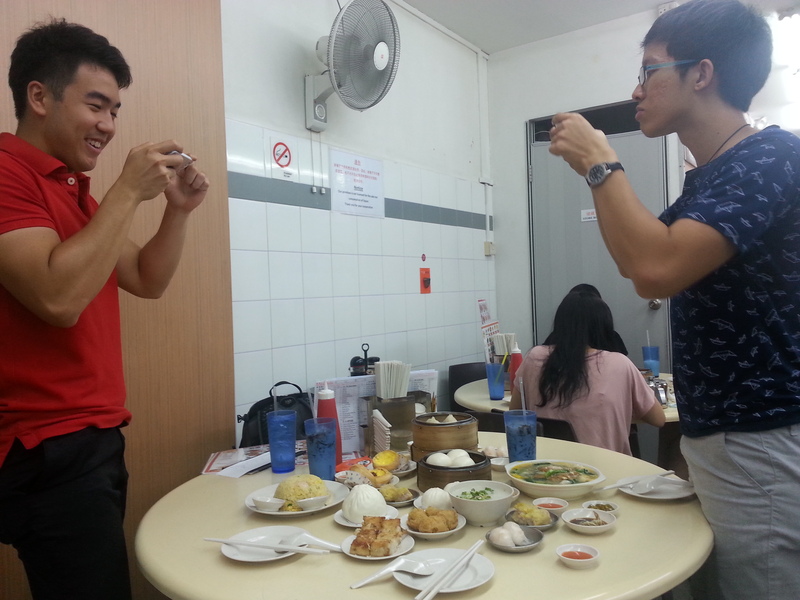 given that there are not many places in singapore that serve dim sum at night (swee choon opens from 6pm-6am), its quite likely that i will be back at swee choon one day if i’m in search of dim sum past daylight. 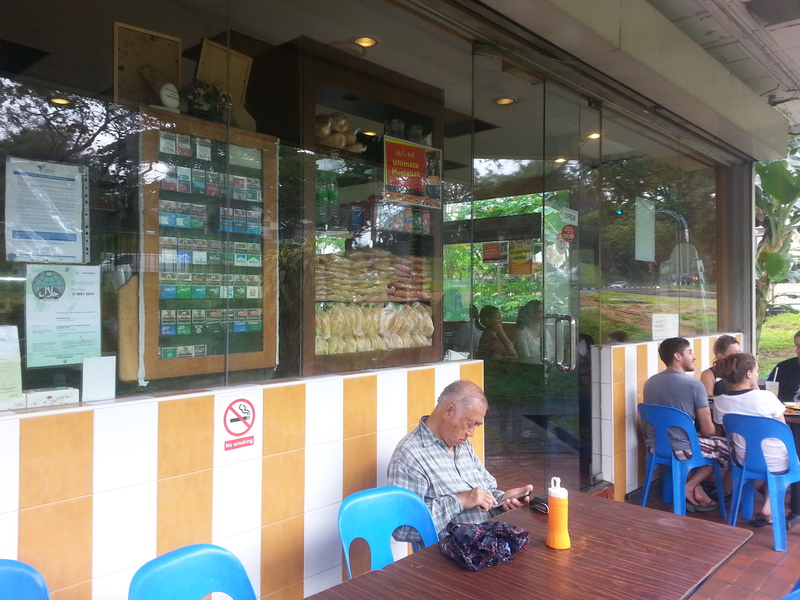 there are some hits and misses but it is overall a pretty good place with a very extensive menu so that everyone can satisfy their varied dim sum cravings. 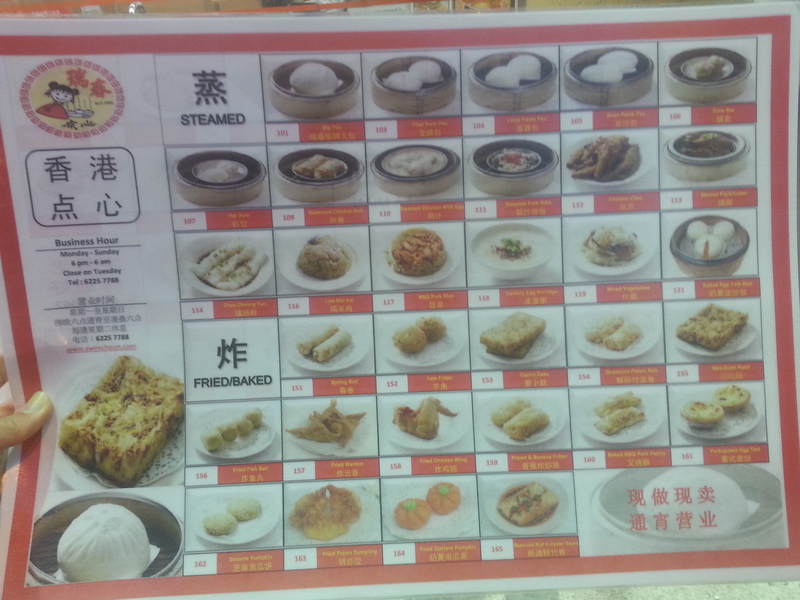 its definitely not a place for finely-made dim sum, but for the price you pay, i feel that you can’t complain at all!